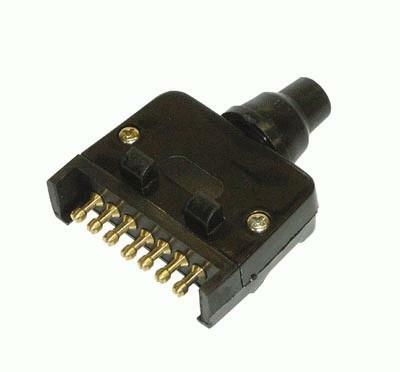 Trailer Products Trailer Adaptor 7 Pin Flat Plug to 7 Pin Flat Socket. 7 Pin Flat Plug suits 7 Pin Flat Socket on Car. 7 Pin Socket suits 7 Pin Plug on Trailer. Suits NSW, QLD, and WA. Trailer Products Trailer Adaptor 7 Pin Plug to 7 Pin Socket. 7 Pin Flat Plug suit 7 Pin Flat Socket on Car. 7 Pin Large Socket suits 7 Pin Large Plug on Trailer. Suits VIC, TAS, and SA.